Waterbury "Fishkill". 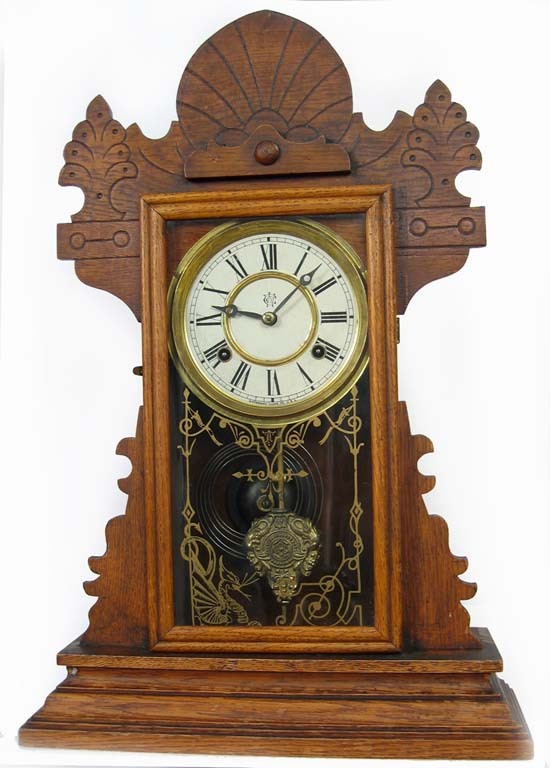 This clock has a solid oak case with the original finish which has been cleaned and looks just fine. It has a good signed painted dial, the original stenciled glass and original hands, pendulum and signed key. 8 day with hour and half hour strike on a gong. The movement will need attention because it has two broken mainsprings. 22" tall.